New Delhi : Gold is undoubtedly one of the most popular investment avenues in our country. And rightly so, the yellow metal is highly liquid, does not depreciate in value with time, can be held in physical as well as dematerialized form and, most importantly, hedges your portfolio against market turmoil. Despite emanating such great qualities, gold is not considered worthy of investment. Though, gold is bought for marriages in India, the yellow metal has been ignored by many investors for quite a long time as it gives slow returns (gold is ideal for long-term investments). The glittering metal might not be as high yielding as other investment options; however, it is a safe-haven in a volatile market. In this post, you learn about a few reasons to why gold is a perfect fit in your investment portfolio. The post will also elaborate on how to fit gold in your investment plan. Why gold should be a part of your investment portfolio? How can you fit gold in your investment plan? • Gold ETFs: Gold ETFs are open-ended funds that track the gold prices. Even a slight change in the gold prices directly affects the prices of gold ETFs. Also, the stock market variations do not flicker its numbers. They are listed and traded on a stock exchange and therefore can be bought and sold on real-time basis. To invest in this avenue, investors need to have a demat account and a trading account with a share broker. Investors who are investing for the first-time in gold ETFs must know that this gold investment option includes the asset management and brokerage charges but there is no entry or exit cost involved. You can buy gold ETFs either in a lump sum or through SIP (Systematic Investment Planning). It is best suited for experienced investors who enjoy intra-day trading. It is not recommended for novice and slow investors. • Gold Mutual Funds/Gold Funds: Gold mutual funds or gold funds are also referred as “gold funds-of-funds”. They are called so because these funds invest in gold ETFs. This gold investment option invests primarily in gold bullion or the stocks of gold-producing, mining or manufacturing companies. The price of shares within a gold fund correlates closely to the spot price of gold. Unlike gold ETF, you do not require a demat account to trade in gold mutual funds. And like the gold ETFs, you can invest in this avenue through lump-sum purchase or SIP. Investors who have a stable and regular income or who are beginners must invest in gold through SIP. Discipline is important to reap the best returns and SIP helps in maintaining that discipline. The NAV (Net Asset Value) of gold mutual funds relies on the physical gold’s value of the share price of the companies that are part of the fund. Redeeming gold funds is absolutely simple. You can sell the fund units any day during the market hours. Another important point to note here is that when redeeming your gold fund units, the NAV of the previous day will be taken into account. • Gold Sovereign Bond: SGBs are not available all year round. Usually, in every 2-3 months, the government comes out with the primary issue of different tranches of these bonds for an open purchase. The window generally remains open for a week. Investors that want to buy these bonds between two such primary issues should buy earlier issues, which are listed in the secondary market, at the market value. There is no entry cost for SGBs, thus making it a more cost-effective investment option than physical gold. Gold is ideal for long-term investments. Therefore, investors must invest in gold investments to fulfil their long-term goals. SGBs are ideal to cater to such cause as they mature after 8 years. However, you may prematurely withdraw 5 years from the date of issue on the interest payment dates. Although you can exit the market anytime but the liquidity and price risk may exist. Also, the returns are dependent on the gold rates prevalent on maturity. • Digital Gold: This is yet another avenue that you can use to invest in physical gold. 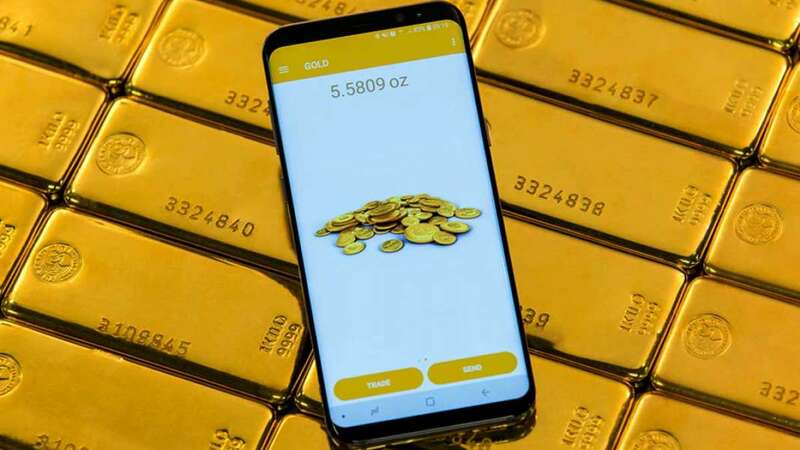 The concept of digital gold is rather new in India; however, with the help of fintech companies such as Paisabazaar.com, this gold investment option is fast gaining popularity. Digital gold is an easy and convenient way to invest in 24K pure physical gold. It allows the interested individuals to buy, sell and store pure gold in fractions anytime. Each gram of gold purchased through the online platform is backed by actual physical gold, which is centrally stored in a secured vault. The buying and selling of the asset is at the live market-linked rates. There are no storage issues or charges involved. When in need, investors can even get it delivered in the form of gold coins at their doorstep securely. How much gold should you fit in your investment plan? As per some financial experts, individuals with stable and regular income should ideally invest gold between 2-6 percent of their investment portfolios. And individuals with irregular income should not put more than 10 percent gold in their investment portfolios. The experts also suggest, especially to new investors, to invest in paper gold such as gold ETFs, gold mutual funds and sovereign gold bonds instead of gold jewellery and other forms of physical gold. This is because the physical gold involves various other charges such as making charges at the time of purchase which is never paid back when selling the metal. In addition to this, physical gold comes with issues such as storage, security, and liquidity.